Micromax has officially launched the A77 Canvas Juice. The A 77 Juice comes with amazing specifications, specially at affordable price. 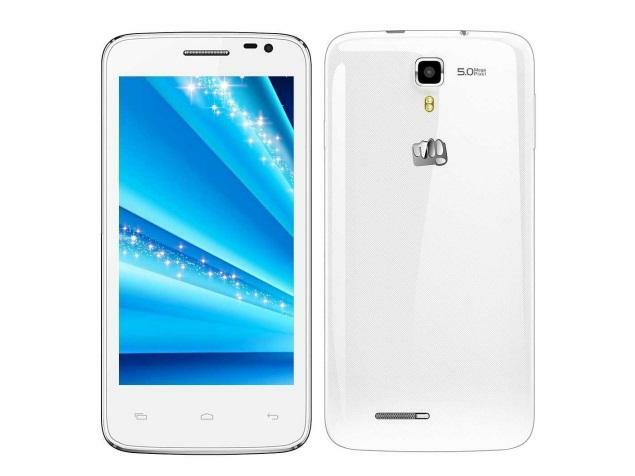 It is the first Dual Core phone from the company with 1GB RAM. The things which makes A77 apart from other smartphones are 1GB RAM, massive 3000 mAh battery and its Price. The phone runs on Android 4.2 OS. The A77-Juice has 5inch FWVGA resolution display, 1.3GHz MTK6572 processor and Dual SIM support. It comes with 5MP rear shooter and a VGA front camera. The handset is capable of recoding 720 HD videos and supports the playback as well. The A77 has 4GB of ROM out of which 1.27GB is assigned for app installation and 672MB as mass storage, although you can expand the memory via inserting micro SD card up to 32GB. The Juice A77 features 3G, 2G, WiFi, GPS, Bluetooth, FM radio and micro USB connectivity. To make the handset alive there is 3000mAh battery which would offer 282 hours of standby time and 10 hours of talk time. The A77 is priced UNDER INR 8000.